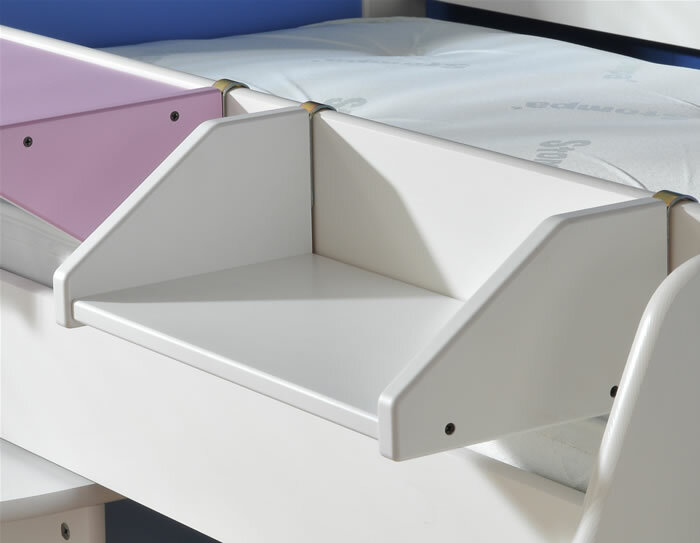 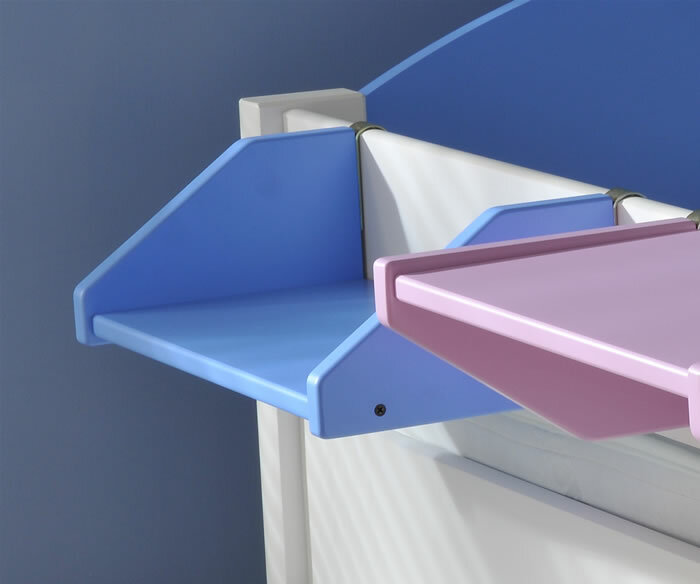 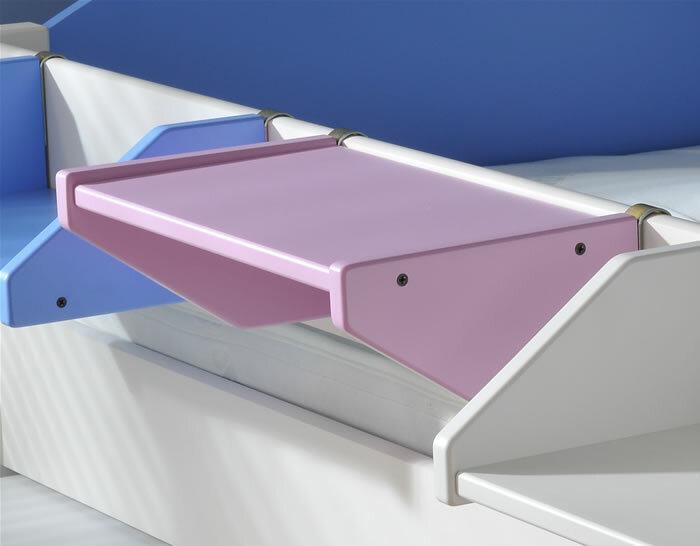 The Stompa clip on shelf is available in a choice of Blue, Lilac or White to match the Stompa Next Generation children's furniture, ranges include Casa, Rondo and Solo. 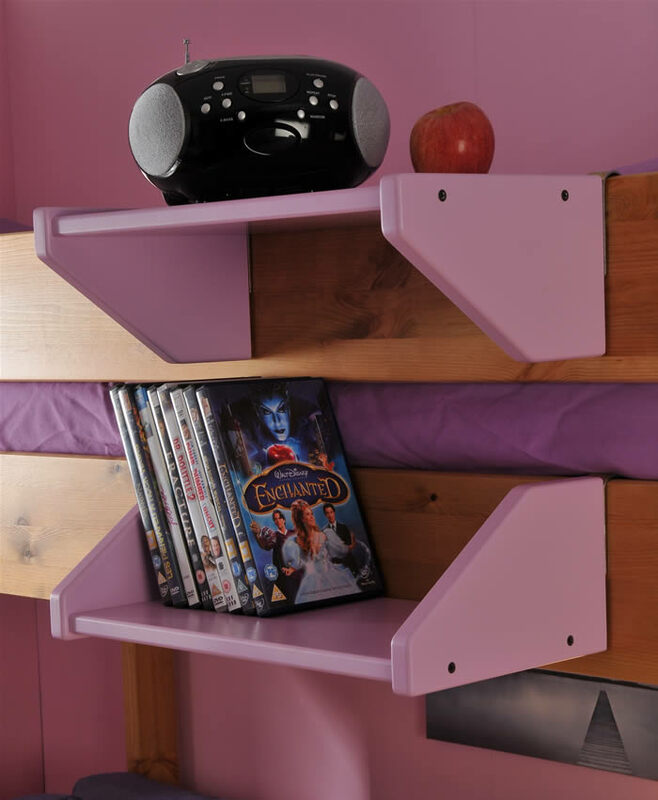 The Stompa clip on shelf can be assembled to hang level with a side rail or reversed to make a handy shelf with side supports, perfect for books, CD's or even DVD storage. 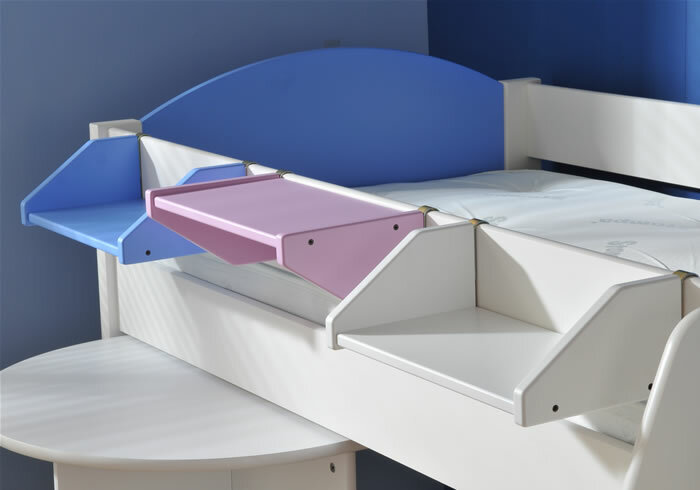 The Stompa clip on shelf is available as a when bought with deal with all Stompa bed purchases.